HFW is pleased to congratulate Partner Marcus Bowman, who was elected as Vice-President of the UK Chamber of Shipping, at its AGM held in London on 21 March 2013. Marcus, who will serve as Vice-President for the year 2013-14, practises maritime law and was recently also the global head of HFW's shipping practice. 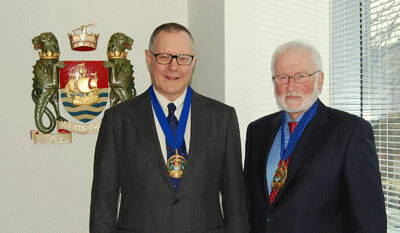 Also elected was new President Kenneth MacLeod, Chairman of Stena (UK) Ltd. This is a rare honour for the firm and will provide the opportunity to better understand the UK maritime sector and strengthen HFW's involvement in this core area of its business. Members of the Chamber are predominantly shipowners, ship managers and operators. Recently however, the Chamber has expanded and has opened its membership to many other business operating in the maritime sector.